On June 23rd, LSN will partner with MaRS Discovery District to create the first international Redefining Early Stage Investments event, RESI On MaRS in Toronto. With MaRS on our horizon, it’s time for Next Phase to take a look at where Canada’s life science strengths lie. Using the LSN Company Platform, we took a look at a sample of almost 500 therapeutic assets under development in Canada. While we found life science innovation in almost every corner of Canada, the startup companies in our sample were concentrated in Ontario, Quebec and British Columbia. These assets were spread across the full range of developmental phases, but with a noticeable skew toward early stage assets. As assets mature through the development process, it’s possible that some are acquired by pharma companies based outside Canada before entering Phase III. In terms of indication areas, oncology is by far the largest field. 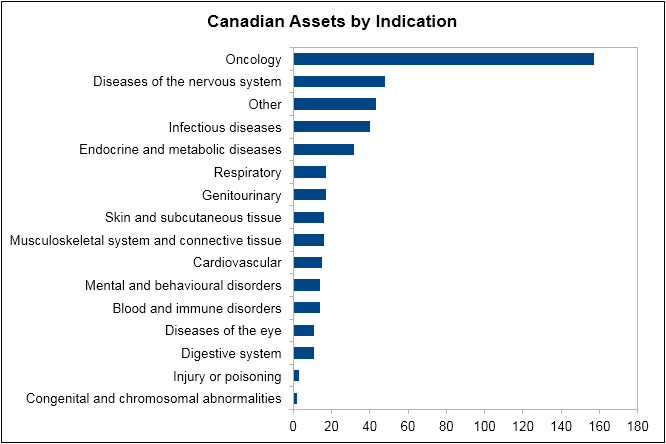 Canada also has significant pipelines in CNS disorders, infectious diseases, and metabolic diseases. Note that as many major pharma or medtech firms looking at Canada as there are venture capital firms; these strategic players are typically global players, interested in cutting edge technology wherever it can be found. 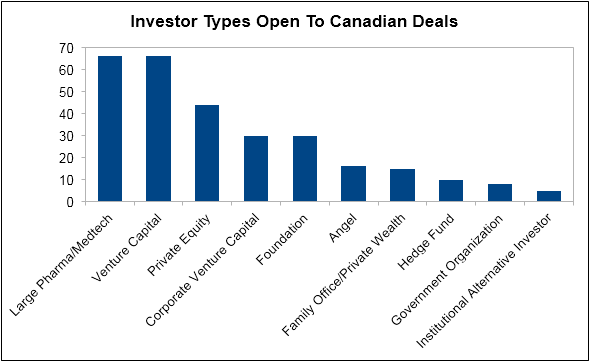 With RESI on MaRS, we hope to turn the eyes of this full spectrum of investors on to innnovation in Canada.